Lecture recordings have been used as a media for teaching purposes for several years at the University of Applied Sciences in Osnabrück. In the past, different ways of distribution have been investigated. For some reasons podcast proved to be comfortable: From the teachers point of view, providing them is easy; from the students points of view, using them is easy. 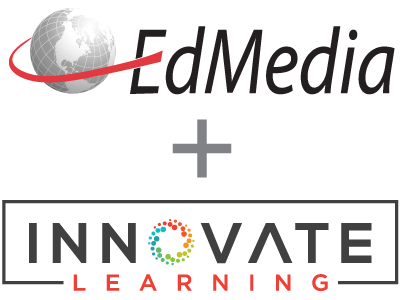 Therefore a didactical concept for a blended learning approach based on podcasting, virtual examinations and other media has been developed. This concept has been accompanied by intensive research on usability and didactic value of the used media. This article describes the evaluation of this concept from a student’s point-of-view. Wichelhaus, S., Schüler, T., Ramm, M. & Morisse, K. (2008). More than Podcasting - An evaluation of an integrated blended learning scenario. In J. Luca & E. Weippl (Eds. ), Proceedings of ED-MEDIA 2008--World Conference on Educational Multimedia, Hypermedia & Telecommunications (pp. 4468-4475). Vienna, Austria: Association for the Advancement of Computing in Education (AACE). Retrieved April 22, 2019 from https://www.learntechlib.org/primary/p/29008/. Lauer, T. & Ottmann, T. (2002). Means and Methods in Automatic Courseware Production: Experience and Technical Challenges. World Conference on E-Learning in Corp., Govt., Health., & Higher Ed. 2002(1), 553-560. Morisse, K. & Ramm, M. (2007): Teaching via Podcasting: One year of Experience with Workflows, Tools and Usage in Higher Education, Proceedings of ED-MEDIA World Conference on Educational Multimedia, Hypermedia& Telecommunications 2007 (pp. 2081-2088). Chesapeake, VA: AACE. Wichelhaus, S. (2008): Weg von der klassischen Frontalvorlesung, Evaluation von Akzeptanz und Lernunterstü tzung durch Podcast als integraler Vorlesungsbestandteil. Diplomarbeit, FH Osnabr ü ck, 2008. Breitner, M. & Hoppe, G. (2005): e-Learning Einsatzkonzepte und Gesch ä ftsmodelle. Springer, Berlin. Krüger, M (2005): Vortragsaufzeichnungen-Ein Querschnitt ü ber die p ä dagogischen Forschungsergebnisse. In Workshop Proceedings, DeLFI 2005 und GMW05. Logos Verlag. Schulmeister, R. (2006): eLearning: Einsichten und Aussichten. Oldenbourg Wissenschaftsverlag.